Today we could come to school dressed up as a sports person if we brought a gold coin donation to give to the Halberg Disability Foundation. We had people representing ten different sports. We were going to watch the people doing the Australia v New Zealand Team Challenge go past but they biked past on the deviation before we were even at school. Some of the older children got up really early and went into the church steps to see them. 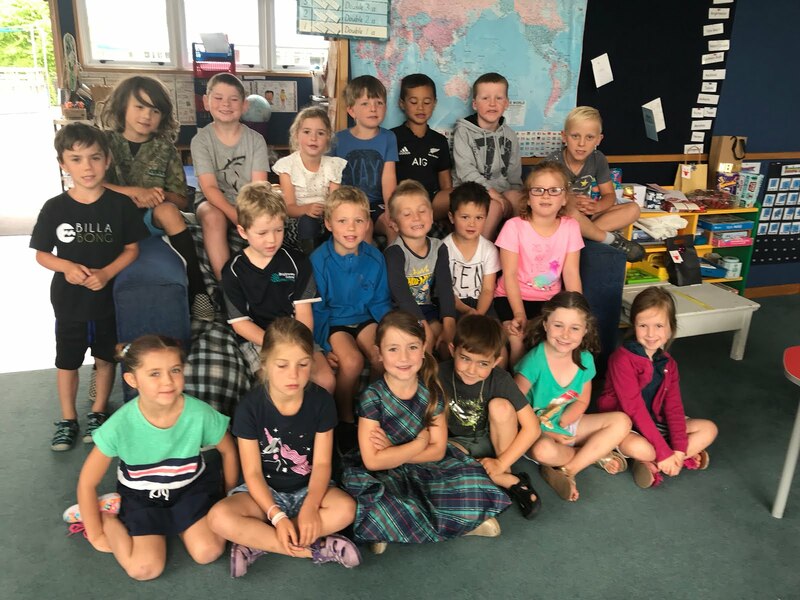 Jaxon's sister helped him make a poster about their trip around the South Island in their caravan. He told us about Shantytown, the glaciers, Puzzle World in Wanaka, Cromwell and Hanmer.